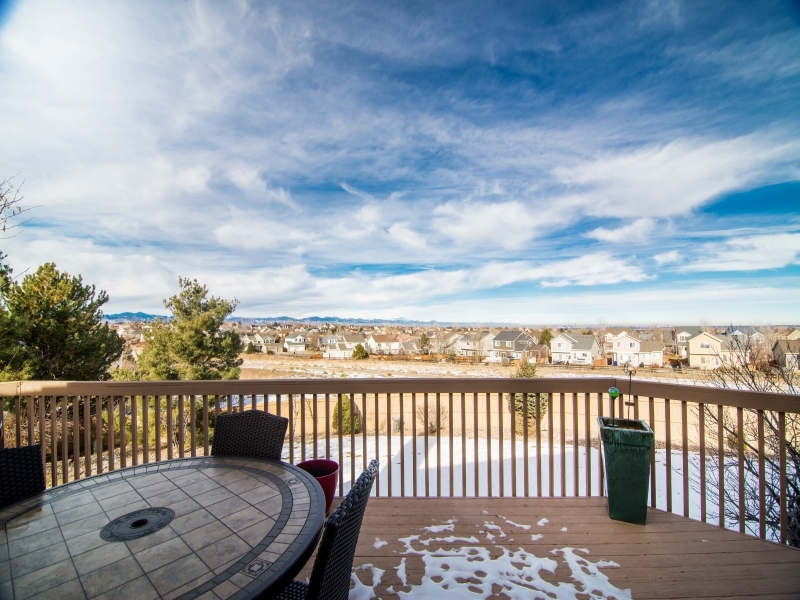 Stunning 2-story home nestled in the mature Hillcrest neighborhood of Highlands Ranch. 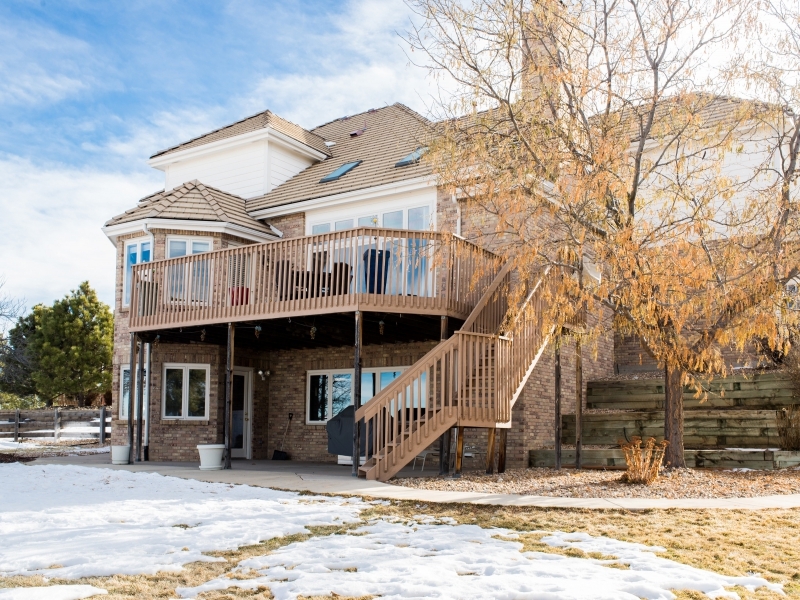 This immaculate move-in ready property backs to open space with panoramic views of downtown Denver, the Front Range and the Rocky Mountains and offers 4 bedrooms, 4 bathrooms and a 3-car garage. The home sits on a large lot on top of a cul-de-sac and boasts a dramatic foyer with a curved staircase, main floor study with french doors, bookshelves and bay window. The kitchen features granite countertops, island, stainless steel appliances, 36-inch double oven, abundant cabinetry, pantry, under-counter wine fridge, breakfast nook with bay window and walkout to large deck. The formal living and dining rooms feature arched entries, crown molding with dramatic uplighting in the dining room. Highlights of the large family room include vaulted ceiling, skylights, gas fireplace with marble hearth, wet bar and built-in bookshelves. The master suite includes a bay window, cathedral ceiling, 5pc. master bath and walk-in closet. The loft area overlooks the family room below and features built-in bookshelves. 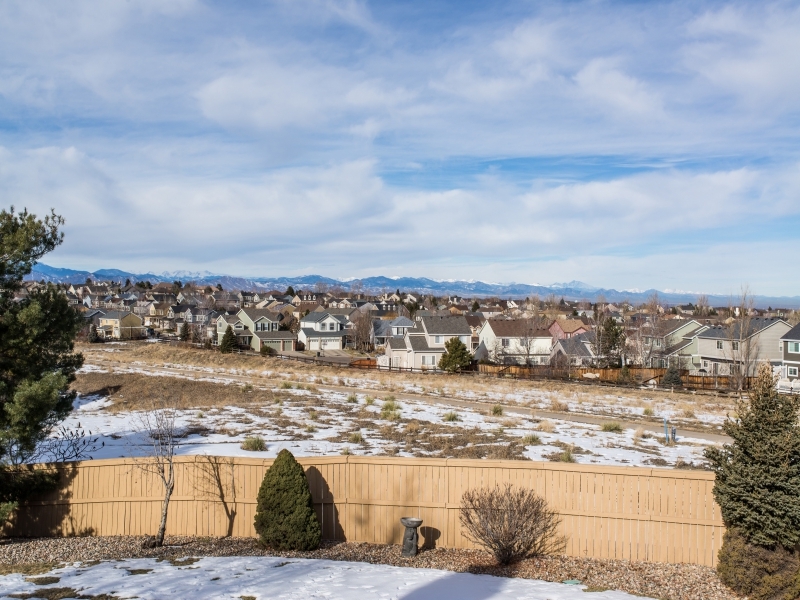 Come enjoy one of the best neighborhoods in all of Colorado. Extremely sought-after community with unbelievable location to dining, entertainment, trails, parks, golf courses, bike paths, tennis courts, excellent schools and shopping! You can't beat this.